It’s strange. Content writing as a tool for user acquisition and audience building has moved forward so rapidly over the last few years. People are more aware than ever that content, for many businesses, is the single most cost-effective way to project your brand to the world and amplify it. How is it then, that despite all these advancements, we still write case studies with ZERO regard for telling an engaging, powerful story? I’m going to show you a way to get the full value from a case study — something that stretches much further than a tool to close deals. Case studies are perhaps the most obvious form of content. They’ve existed since way before listicles, infographics and most other forms of content you publish on your blog on a weekly basis. They’re basically a relic from the “old-school” enterprise days. Printed case studies would be handed out at conferences, sales meetings and any other opportunity for contact with potential leads. Here’s why I think we do them. Feel free to disagree with me! I’m uncomfortable with this way of thinking. On the one hand, it makes sense that the audience for a case study is a qualified lead, and that the purpose of the case study is to get them over that last bit of friction before making the purchase. Case studies are one of the oldest forms of social proof in business, and one of the best places to use social proof is that last step in converting a lead. In the same way that we might put customer quotes on our pricing (or even payment) page, we give out case studies to our qualified leads. The reason why I’m uncomfortable with this is because it limits our thinking about case studies. If we accept that converting leads is their only purpose, we’ll never open ourselves to using them for any other purpose. Actually, I think that’s why most businesses are stuck with the same old kind of case studies today that we compiled years ago. Sometimes the easiest way to change your approach or mindset about something is just to give it a different name! At ChartMogul, I decided from the beginning that we should break out of this restrictive way of thinking. How? By abandoning the term “case study” entirely. Sometimes the easiest way to change your approach or mindset about something is just to give it a different name! It sounds trivial, but it works. So our old “lead conversion” tactic is still pretty much there. But here’s the really crucial part: This is an ordered list, ordered by priority. If we can’t achieve number one and two, number three will fail. You’ve probably realized this already, but it’s worth reiterating: The story always comes first. Everything else — the insights, evidence of product value — is just a side effect of a great story. Sometimes those other things won’t come at all. But if you hit the story part, you’re at least coming out of the process with content that’s valuable to your audience in some way. Doing customer stories in this way requires a few prerequisites — some of which may not have existed in the “old world” case studies. Has the company been using your product for enough time to get true value out of it? Is the company generally happy with your product? Has the company been around long enough to have significant insights or experiences to share? 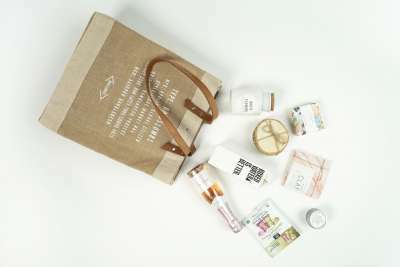 Does the company have a positive reputation and strong following as a brand? Does the company exist in a business vertical that’s shared with a significant portion of your audience and target customers? That last point is really important, particularly for businesses with customers in multiple verticals. At ChartMogul, our target customers are subscription businesses — literally any subscription business, whether SaaS, food box, gym, video on-demand platform… The list goes on. It’s therefore important for us to reinforce the category-spanning nature of the product, and one of the most compelling ways to do this is to produce customer stories in each of these verticals, highlighting the use case of each. Customers will look for examples of similar businesses to their own using — and benefitting from — your product. Make sure those examples are there. If you want your customer story to be identifiable and engaging, the subject should not be “the business”. It needs to be a person. Who can identify personally with a company?! First, you’ll need to get access to the person in the business who actually has an interesting story to tell. This doesn’t always need to be the founder or CEO, but often is. It’s rarely a marketing executive or the contact you reached out to in the first place. Finding the right person to tell the story can involve significant effort or “hustle” (prepare to be turned down a few times), but the end result is worth it. Has this person been involved in the conception of the business? Have they been through a significant pivot or period of flux in the business? Do they have an interesting or unconventional background prior to working in this business? Have they achieved something outstanding in their role at the business? Are they involved in the vision or direction of the business? Can they really speak on behalf of the business? If you’re answering yes to at least a few of these, then it’s looking good, and you should be able to find the story you need. 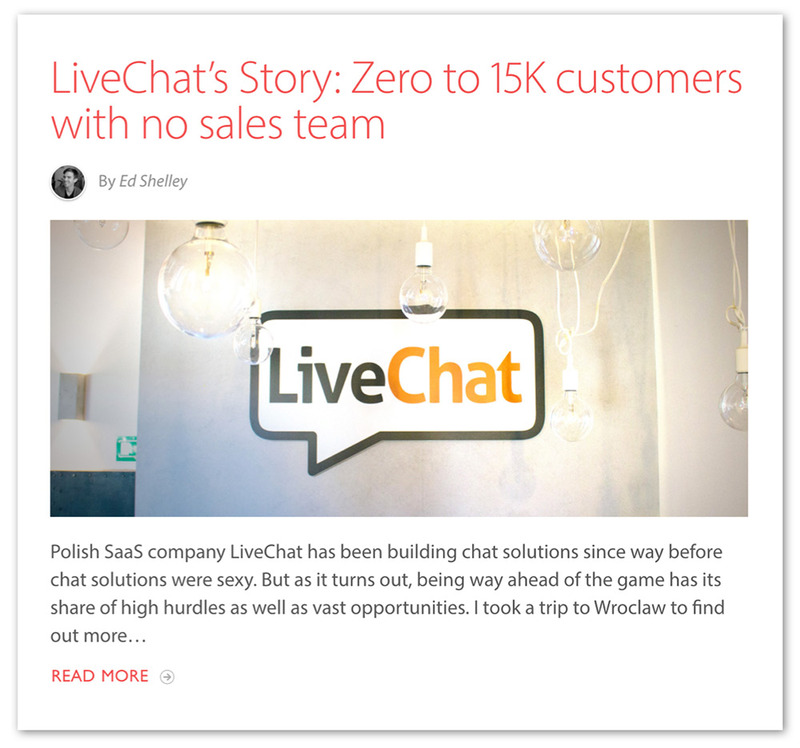 So I had scheduled a visit to meet with Szymon Klimzcak, CMO of LiveChat. I’d traveled to the Polish city of Wroclaw to visit the LiveChat team, record a podcast and hopefully build a good customer story to take home. After a night in a hotel and a rather early start, I was sitting next to Szymon, podcast microphone on the table with my laptop recording for about 30 minutes already… and the story just wasn’t there. Sh*t.
“And we did it all without any sales team”. BOOM. There it is! The title of the story literally flashed in front of my eyes: “Zero to <DATA> MRR with no sales team.” From then on, everything fell into place — we dug deeper into this aspect of the history, expanded on the philosophy of such a strategy and built an amazing narrative. This example illustrates probably the most important thing you should know when it comes to finding a story or “angle” for your content: In the majority of cases, you won’t know what that story is before you start interviewing your subject. This means that you can’t stick to a rigid structure of pre-defined questions, if you want to get the best out of your interview. Going in without a plan might seem a little scary, but the best stories are tiny gold nuggets that are far beneath the surface. The best you can do is to be prepared to adapt and change direction when something catches your attention. So you’ve done your customer interview, and you’re headed home with a head buzzing with ideas, themes and angles for your story. No? Okay, I admit it doesn’t always come that easily, and writing is often the hardest part of an already-hard process. But you’ll be fine with this, trust me, as long as you stick to the guidelines discussed above. Story first, always. Like any good story, try to craft a beginning, middle and end to your piece. The order that you discussed things in person may not be the best way to structure your writing. Keep people engaged line after line by describing conflict, teasing small insights and talking about things with which the reader can identify. If you recorded the audio of your interview (which I’d strongly recommend over note-taking), you’re going to be able to pull out some great direct quotes for your article. People nowadays scan through content that they don’t have the time (or focus) to read in full. Big, bold quotes really help anchor the different parts of your story. 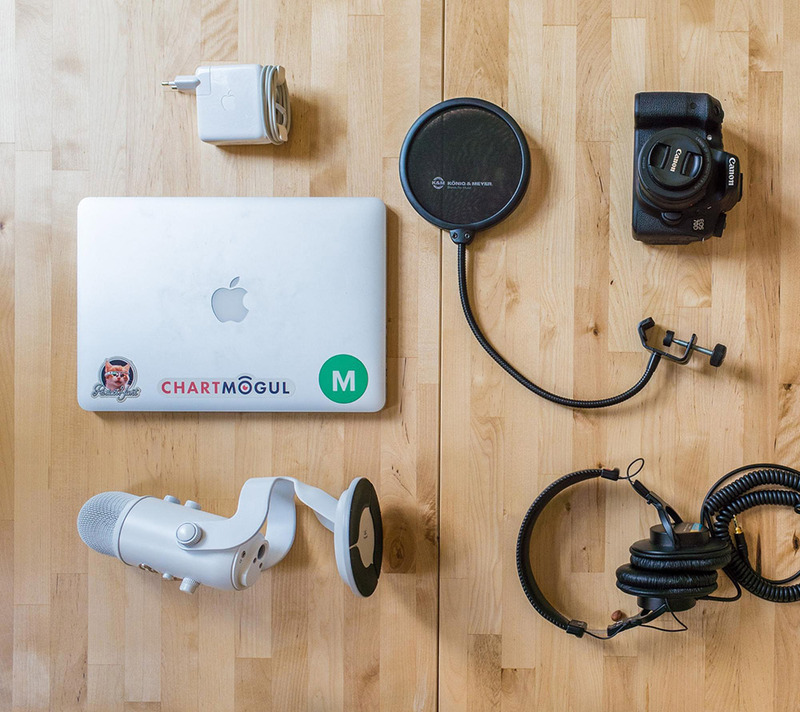 The kit I travel with, when capturing a customer interview. Don’t treat customer stories as a 2nd-class citizen. You’ve invested all this time and effort into creating content that holds its own in terms of value against any other content you’d publish. For that reason, treat it in the same way — share it to your loyal audience, your social channels and wherever else you promote your writing. You’ve got something that’s valuable outside of pure “lead conversion”, so use it that way! At ChartMogul we find that customer stories are something we’re always referring back to for those concrete examples of product use cases. You should make sure that after your usual publishing activity, you don’t just forget about yours. 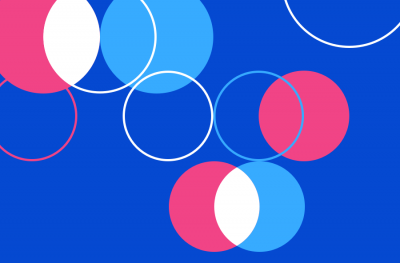 For The Customer Success and Support teams, who maintain a collection of examples that can aid support cases or the onboarding process for new customers. The Sales team, who use them to help potential leads identify with the problem our product is solving, and build their own understanding of such use cases. The Product team, who find small, incredibly valuable insights in the raw interview transcripts we capture. 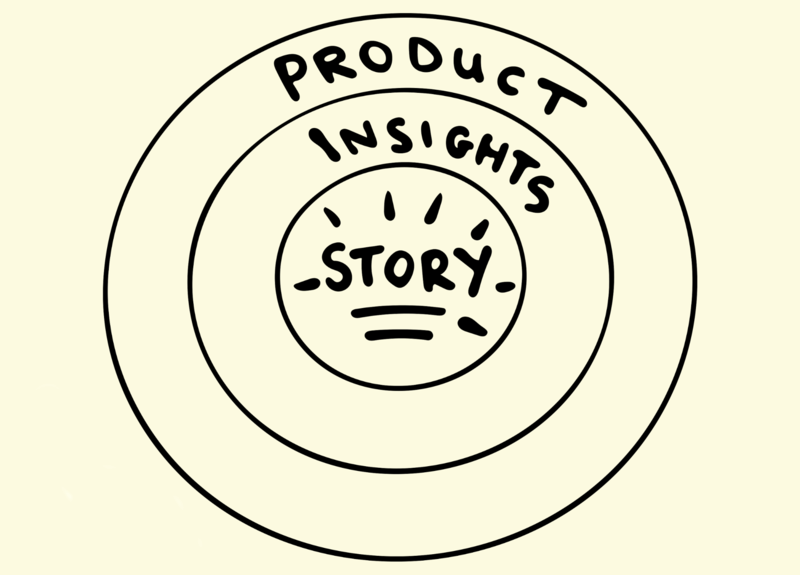 Customer stories (or case studies) needn’t be an artifact of the previous decade of the software business. With a bit of effort, they can be as engaging and valuable to your entire audience as any other piece of content your team produces. Talk to people, find insights and tell a story. If you do this, you’ll stand out from 90% of the other businesses in your space — and standing out is the single most important ingredient of success in Content Marketing today. 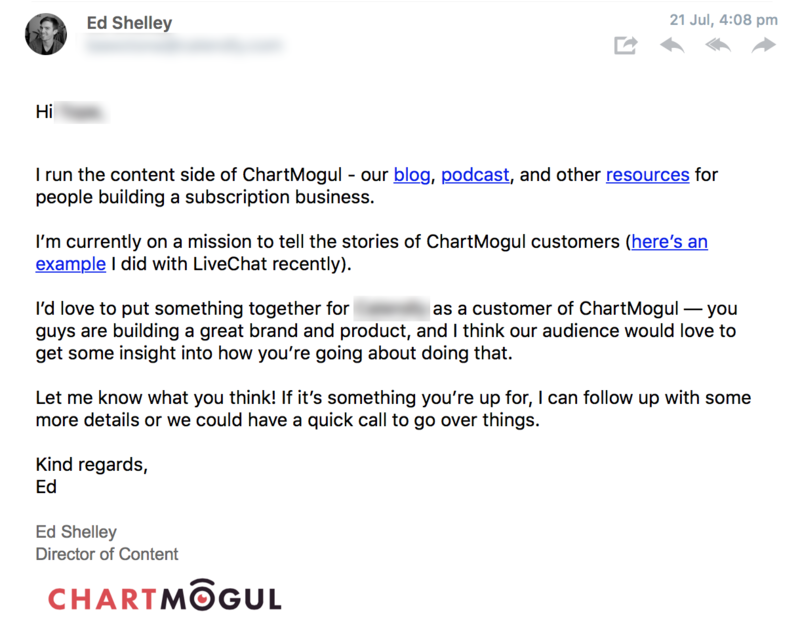 Ed Shelley is Director of Content at ChartMogul. 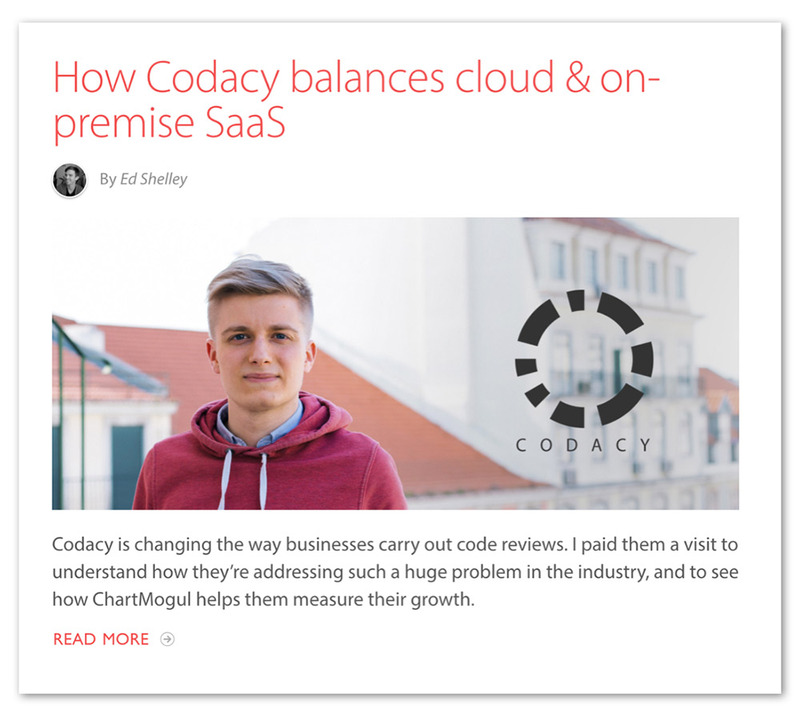 He tells stories about SaaS and subscription businesses for the ChartMogul blog. ChartMogul is an analytics platform helping subscription businesses measure and grow their revenue, through data.